Who is ready for Fall! 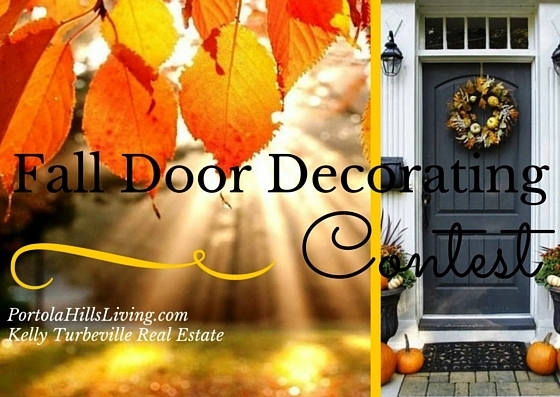 With this week being the official start of Fall 2015, I thought it would be fun to put together a Portola Hills Community Contest to celebrate the season. Well maybe secretly I am hoping it will bring some cooler fall weather along with it! 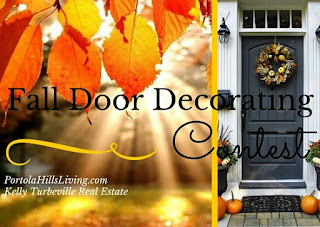 It is simple.. Decorate your Front Door, send us a picture and we will randomly pick the winning entry just in time for Thanksgiving!! The grand prize is a $50.00 grocery card. Contest runs from 10/1/15-11/30/15. Terms apply... Contact Kelly direct for directions on how to enter. Open to Portola Hills residents only. Participants agree photo will be shared publicly.